Nike's latest sporting wearable is more than just a colourful addition to your gym bag - it's a track shoe that's practically bursting at the seams with innovation, including its 3D-printed production and input from an Olympic-level sprinter. Never one to do things by half, Nike consulted with 29-year-old Jamaican sprinter Shelly-Ann Fraser-Pryce over the summer, bringing her to its Nike Sport's Research Lab to help define the perfect fit, style and composition for an athlete performing at her level. For the veteran shoe maker and sports brand, the key was helping Fraser-Pryce find the perfect spike. Countless 3D-printed combinations were tested out on a test track, with each one moulded to the shape and contours of her feet. The idea was to observe how the plates (the layers that hold the spikes at the bottom of the shoe) of its shoe bounced off the track, creating something that's both lightweight and capable of withstanding the forces exerted by a 100m sprinter performing on a world stage. 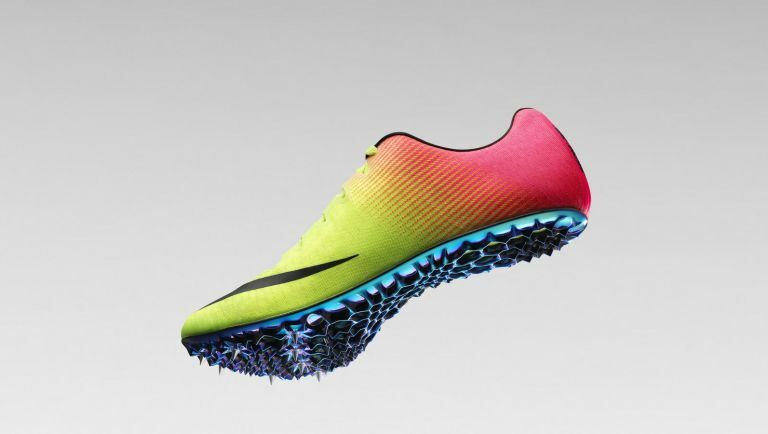 The innovation and research that's gone into the Zoom Superfly Elite won't just be retained to a single shoe design either, Nike has confirmed its work with Fraser-Pryce has influenced the sports wear of over 100 other Nike-sponsored athletes. And while these shoes won't feature a 3D-printed plate (they'll actually feature plastic ones), they'll be packing just as much innovative DNA. Why not check out: Is the Polar M600 the most sophisticated fitness smartwatch yet?